Last week IQ Group attended the annual CMSF Conference. Each year this conference brings topical thought leadership and insights to the industry practitioners in attendance. One of those key topics up for discussion at this years event was the Gig Economy and it’s role in Superannuation. The session opened with the confronting trend of the changing workforce and its impact on super, retirement and the wider community. In the US alone, it’s estimated that 40% of the population will be working in a gig economy. Back home, almost 1% of Australians are already working as independent contractors in short-term engagements and that number is growing. The gig economy is defined as “a labour market characterised by the prevalence of short-term contracts or freelance work, as opposed to permanent jobs”. The gig economy has grown as digital disruptions keep bringing enormous change to how people seek freelance jobs. Look at Uber, Deliveroo and Airtasker as examples. The issues confronting the gig economy are real and complex. From unregulated workers to health and safety issues, unfair dismissals and potential exploitation. There are no regulations on ensuring these gig economy workers have a modest superannuation, allowing them to retire with dignity, as many do not meet the superannuation income thresholds. Here at the CMSF Conference, we are surrounded with young workers and some volunteers to serve over 1000 conference attendees from registration, serving food and drinks as well as cleaning. Many represent the gig economy. I can’t help but think of my children when I hear about the gig economy – how it will grow as technology takes on new roles in our lives and how it will replace many traditional jobs with opportunities for new players. This could be their reality; working on short-term gigs to make a living but potentially missing out on superannuation because it isn’t compulsory for them. I was intrigued by this question and immediately questioned our IQ Group Marketing Manager who used to represent the gig economy when she was starting out in her marketing career after university. She worked on a lot of ‘gigs’ for many ’employers’ on a contract basis, not as a full-time job. Due to the nature of the type of work, none of her employers were required to pay super. She had to set aside super contributions on her own. Since this isn’t compulsory, it’s not something she would always do. The younger generation have a different mindset. Many are disengaged with super and don’t understand or care about the benefits of long term compounding investments. Without making too many generalisations, many younger people often live in the ‘right here, right now’, and often paycheck to paycheck while still establishing themselves. The superannuation industry as an overall voice will need to pull together to bring a stronger awareness campaign to the young, perhaps even starting at secondary and university education levels. Digital engagement needs to be an area of improvement. In our IQ Digital Study 2017, we found that members in general found fund websites and apps generally lagged in performance and made it difficult to find information. A key theme that came out of the panel session facilitated by Ellen Fanning was that the superannuation industry cannot wait for the government to show leadership in changing super for better member outcomes. Industry funds need to act as movers and shakers in changing what super could look like. With the rising trend of more young people working in the gig economy and mature workers doing short-term work, it is an opportune time to look at changing policies and rules before the workforce change becomes so significant. Unfortunately, the Australian Government won’t have an adequate solution in the short term, and will be left to play catch-up through the government pension scheme. Funds can advocate for policy change, such as changing income thresholds per month to qualify for employer paid super, increasing the super guarantee and changing the definition of employee to offer a more inclusive super accessible to everyone. The CMSF conference opened with a strong call to action for industry players to act now. As a collective voice, we need to do something so all can retire with dignity. For the sake of the future generation. For needy communities. For all Australians. The IQ Group Executive Team. From left to right: Katherine Forrest, Head of Customer. Samantha Muir, Head of Operations. Martha Villamil, Head of Capability. On International Women’s Day we thought it was a good time to take a look at an issue that is often overlooked when it comes to Superannuation; the retirement balance gap. Women currently retire with 47% less superannuation than men. By 2030 it is estimated that the gap will have reduced to 39%, but this is still a concerning difference. While this issue has been a topic of discussion for many years, the numbers still indicate only modest changes. 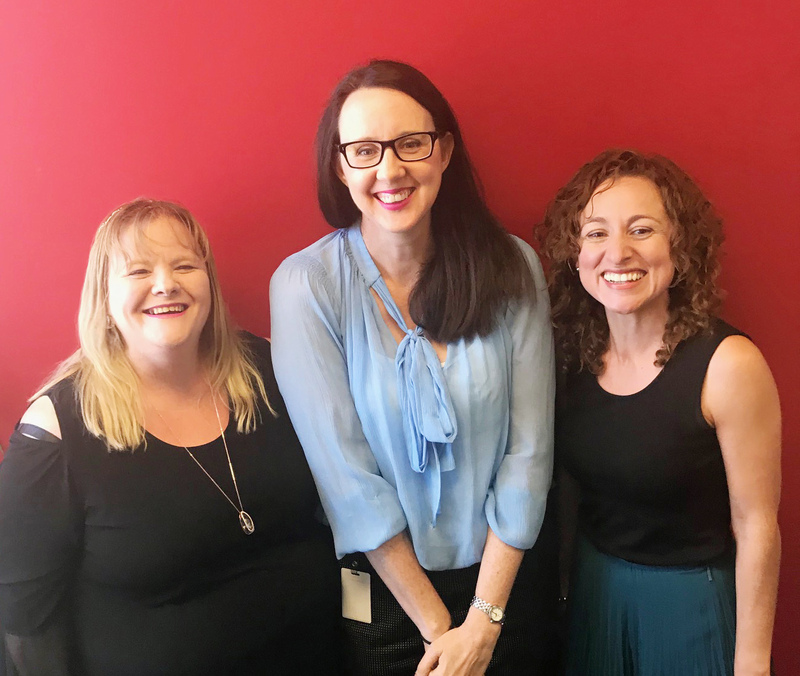 As a consulting company in the Superannuation industry led by an executive team made up of three incredibly talented women, this issue is one we also feel strongly about on a personal level. It may not be a new issue, but it’s an important one that impacts over half of Australia’s population. Employer Superannuation contributions became compulsory in 1991. Being almost three decades old, this was a system designed around men and a traditional view of employment. Unfortunately today this system leaves many women at a huge disadvantage in retirement. The average woman lives five years longer than the average man. Longer-term effects of this gap lead to a higher level of dependence on the aged pension for females, as well as high levels of poverty faced by women – particularly in old age! As with many issues, it is hard to identify a single reason for this 47% balance gap. A whole lifetime of circumstances and choices contribute to this number. The wage gap may be a contributing factor to this weighty balance gap, but the likely leading factor is that many women leave the workforce for an extended period to be a primary caregiver. Women often have their working lives interrupted by raising children. Often this will mean taking time out of the workforce or opting to work concentrated hours. 43% of women currently work part-time. On average women will take five years out of the workforce to care for children or family members, causing their Super savings to stagnate and fall behind that of their male counterparts. Most women receive some form of paid maternity leave, either from the government or their employers, but these plans do not generally include superannuation. Women are often also the carer for elderly parents and for many, they don’t get a chance to earn decent money till later in life. Despite women making up nearly half the workforce, the average woman still brings home noticeably less than the average man. Compulsory employer Super contributions are based on a percentage of what employees earn, currently 9.5% p.a. The average full-time working woman earns 18% less than the average man and leads to women receiving less retirement money as a result. The current 9.5% Superannuation Guarantee does not enable most women to accrue sufficient savings for a comfortable retirement. An estimated 220,000 women miss out on $125 million of superannuation contributions as they do not meet the requirement to earn $450 per month from one employer. How to Minimise the Balance Gap? And finally, super funds can be helping their female members overcome these challenges by fostering awareness and ensuring contributions to their future financial security are simple to make.